it could have been deleted. Furthermore gauge which shows fuel usage per 100k went berserk and corrected itself at the same time. So Question? what sort of meter do I need to connect to myOBD2 to check and if needs be corrected. OR someone around the Greensborough area of Melb0urne that can help. The EGR stuck open shouldn't make the injectors noisy, or at least it didn't for me. When the car started at idle it actually sounded really cool, sort of a cross between an oldschool big block V8 and a rotary. I had a different exhaust then though. The engine basically took no load, it would stall. Maybe they faffed around and shorted the electronics or something? 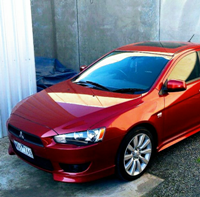 A reset will mean the car has to readjust, but I'm sure it wouldn't be like you experienced. 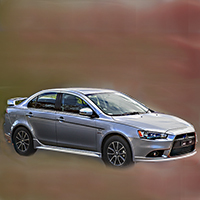 burfadel wrote: When my EGR valve got stuck open pretty much nobody knew what it was, even Mitsubishi took a week finding the issue. The young mechanics were relying on the fault codes, which basically all got triggered. It was right before Christmas, so after pestering them the head guy he said he'll look at it and it was fixed later that day. Then relaying the story on here it appeared that nobody was aware they had them either. It's possible that on some cars they are stuck shut, which you wouldn't be aware. There are variations of the engine. New Zealand according to their website have variable lift, which we don't have. I believe it gives a flatter torque curve and better emissions. Would be interesting whether they have EGR valves. It also means the must have a different cylinder head? what is your VIN number burfadel? it would be interesting to look at it on partsouq and see if there is a part listing for it in the EPC for the EGR. and looking at the 4B1 engines they are all MIVEC unless I misinterpreted variable lift? burfadel wrote: I'm happy to be a test bunny as well! Was it ever worked out which Lancers actually have EGR valves? Looking at the EPC for my MY08 I have a solenoid that it describes as being for the EGR system, but the hose(s) that come off it go to the Evap canister and the brake booster. 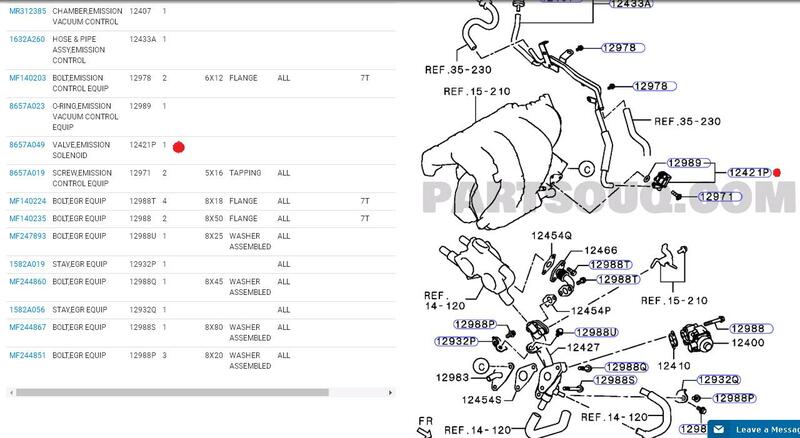 there is no part number for the EGR valve in the schematic, or anywhere in the EPC, did I luck out? Red Dots are the solenoid and coresponding part number. 12400 looks like a EGR valve. does anyone know which of the CJ's haven't got an EGR system? Also From when did the 2ltr engine start getting the clamshell exhaust manifold. Simple to check and report would be appreciated with year your car was made ieMY12 MY08 or whatever..
History of the EGR valve. Correct me if I go off course. Originally most if not all EGR valves were vacuum operated. the intake air vacuum applied to a diaphragm. Primitive but it apparently must have worked. So needs an attached valve to be effective. EGR solenoid valve. Had an argument about this, So!!!??? I can go into detail with this tomorrow, but yes a solenoid is a magnet operated unit that can be used to control various on/off functions. A solenoid valve is exactly that, a valve that is solenoid operated, whether for air or fluid. The early ones were a diaphragm valve and as electronics and sensors became more accurate than coils and bi-metal springs the solenoid valve took its place. Also favoured for the instant effect of their operation. Quismiff wrote: I can go into detail with this tomorrow, but yes a solenoid is a magnet operated unit that can be used to control various on/off functions. A solenoid valve is exactly that, a valve that is solenoid operated, whether for air or fluid. The early ones were a diaphragm valve and as electronics and sensors became more accurate than coils and bi-metal springs the solenoid valve took its place. Also favoured for the instant effect of their operation. Exactly! My only point is that a solenoid on its own other then becoming a magnet and therefore being able to be used for various purposes, is not a valve but as in the case of the vacuum is used to actuate the valve. would look stupid being refered to as a EGR vacuum!!!!!! I believe they use the term EGR Valve is loosly to describe the valve as it has always been, the solenoid part as you say is only the part that opens and closes the valve. even the early egr valves the part that opened the valve is just a mechanical solenoid. A very simple image of the EGR system. the air being re introduced after the air mass sensor surely must wreck havoc with the maps. A solenoid is a bit like a relay, except that solenoids are used for mechanical actuation - controlling a valve, or opening the locking pin on a door, etc. while relays obviously act as an electrical switch. Like all valves, EGR valves need a method of actuation, something to open or close them. Could be hydraulic, could be a physical cable (like on a non-drive-by-wire throttle), and of course it could be electrical. There are many, many ways to achieve electrical actuation, with a solenoid being one of the simplest (though the actual physics is rather interesting - electromagnetism). Hence, EGR Valve can be exclusive of a solenoid. An EGR solenoid, by name, would be the solenoid used to actuate the EGR valve. A solenoid irrespective of what it is or does is an electrically operated object. Full stop!!!!! sarusa wrote: A solenoid irrespective of what it is or does is an electrically operated object. Full stop!!!!! That's not really true though. A motor is an electrically operated object, too, but a solenoid is not a motor. apparatus to revolve. Just 1 of 7 descriptions, in my dictionary.